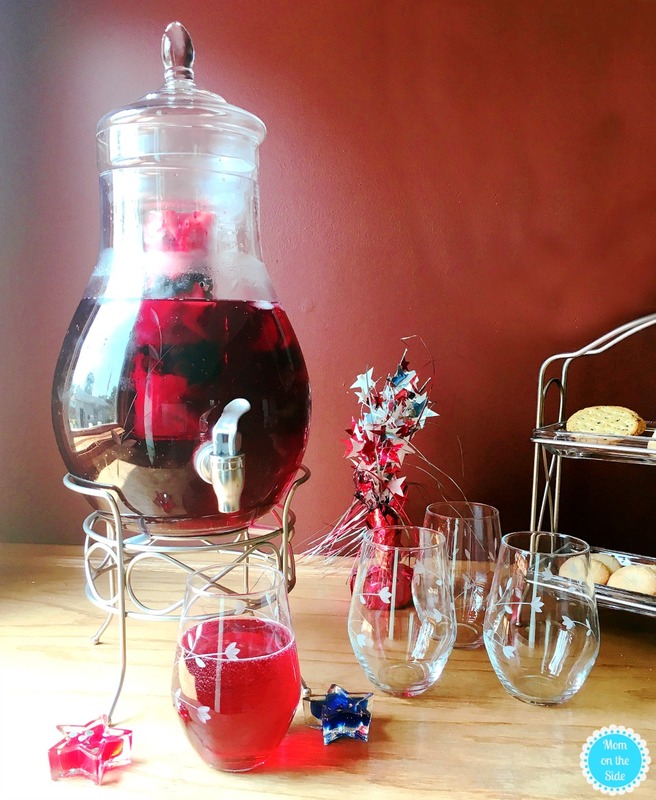 I have to start by apologizing because we enjoyed this delicious Red White and Blueberry Punch with Moscato on the 4th of July and I’m just getting around to sharing it with you all. Needless to say, the kids being home is getting the best of me but I’m enjoying almost every minute of it. I could use another giant pitcher of this punch right about now though! 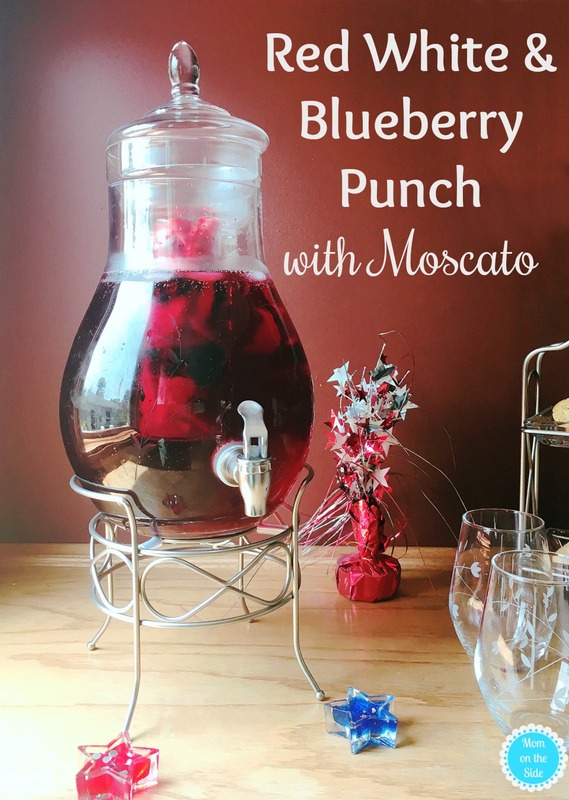 Red White and Blueberry Punch with Moscato is super simple to mix up and the perfect summer cocktail! 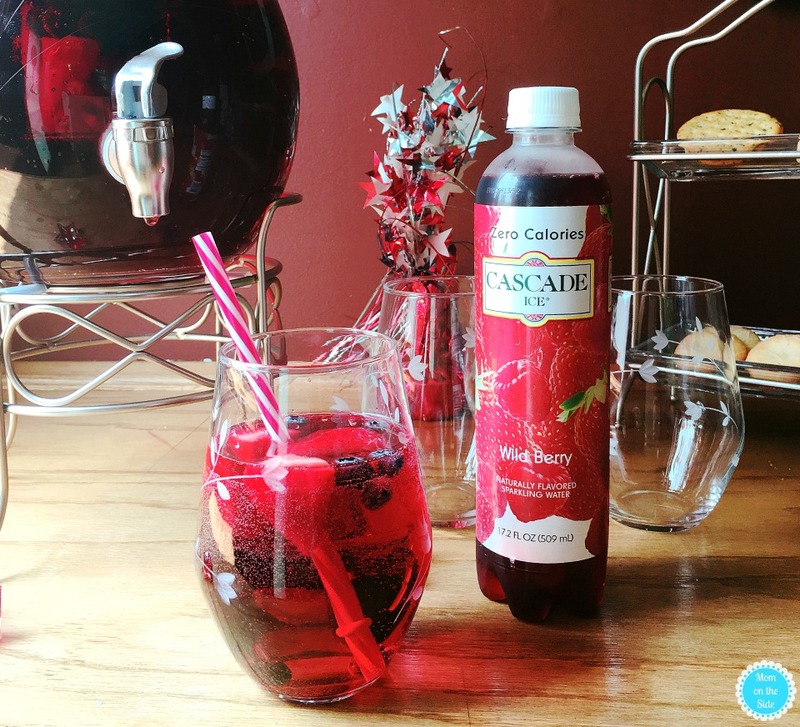 For this delicious punch, start with Cascade Ice Wild Berry sparkling water, 2 bottles of Moscato, and 3 cups of strawberry vodka in a big punch bowl. Cascade Ice Zeo Calorie Naturall Flavored Sparkling Water allows you to experience guilt free taste. It’s sodium free, caffeine free, gluten free, and has zero grams of sugar and no carbs! Cut up as many strawberries and blueberries as you want and toss them in, or use an infuser if you have one. Let it all sit for a few hours and get happy and delicious together. When you’re ready to serve the punch, add ice and put a few pieces of fresh fruit into each glass!